Elegance and style, passion and performance. Discover the exclusive Maserati world and the beautiful range of luxury models now in Akron Ohio. Maserati (Italian: [mazeˈraːti]) is an Italian luxury vehicle manufacturer established on 1 December 1914, in Bologna. 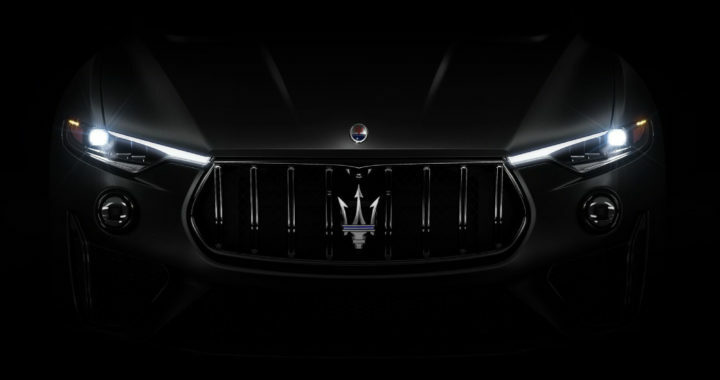 The Maserati tagline is “Luxury, sports and style cast in exclusive cars”, and the brand’s mission statement is to “Build ultra-luxury performance automobiles with timeless Italian style, accommodating bespoke interiors, and effortless, signature sounding power”. The company’s headquarters are now in Modena, and its emblem is a trident. 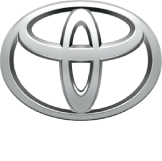 It has been owned by the Italian-American car giant Fiat Chrysler Automobiles (FCA) and FCA’s Italian predecessor Fiat S.p.A. since 1993. Maserati was initially associated with Ferrari S.p.A., which was also owned by FCA until being spun off in 2015, but more recently it has become part of the sports car group including Alfa Romeo and Abarth (see section below). In May 2014, due to ambitious plans and product launches, Maserati sold a record of over 3,000 cars in one month. This caused them to increase production of the Quattroporte and Ghibli models. 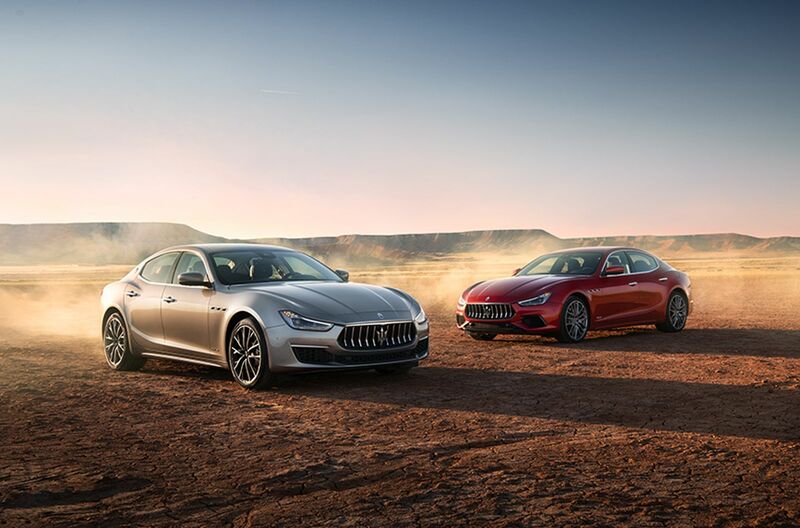 In addition to the Ghibli and Quattroporte, Maserati offers the Maserati GranTurismo, the GranTurismo Convertible, and has confirmed that it will be offering the Maserati Levante, the first Maserati SUV, in 2016, and the Maserati Alfieri, a new 2+2 in 2016. Maserati is placing a production output cap at 75,000 vehicles globally. 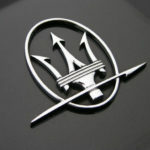 The trident logo of the Maserati car company is based on the Fountain of Neptune in Bologna’s Piazza Maggiore. In 1920, one of the Maserati brothers, artist Mario, used this symbol in the logo at the suggestion of family friend Marquis Diego de Sterlich. It was considered particularly appropriate for the sports car company due to fact that Neptune represents strength and vigour; additionally, the statue is a characteristic symbol of the company’s original home city. Alfieri Maserati died in 1932, but three other brothers, Bindo, Ernesto, and Ettore, kept the firm going, building cars that won races. Italian for “four-door,” the Maserati Quattroporte is a sporting luxury saloon. The sixth generation Maserati Quattroporte was introduced in 2013. The Quattroporte is currently available in S Q4, GTS and Diesel trim. The S Q4 has an advanced four-wheel drive system, and a 404-horsepower twin-turbo V6. The GTS is rear wheel drive and has a 523-horsepower V8. A Quattroporte Diesel model is offered on selected markets, making 275 horsepower (250 hp in Italy) and 442 ft-lbs of torque. 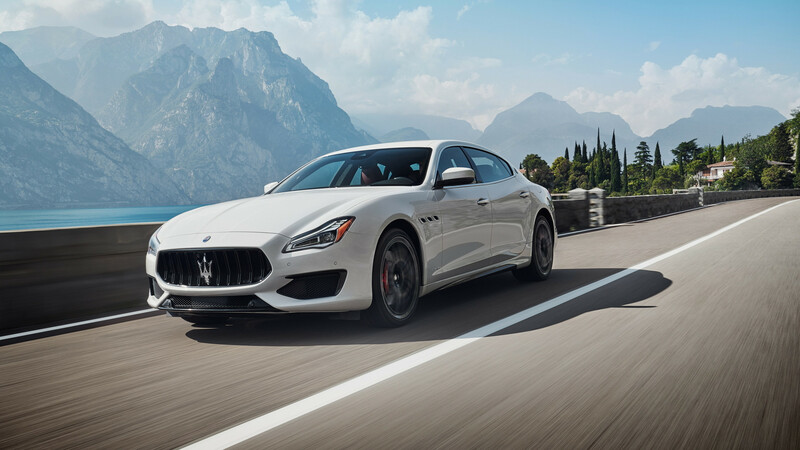 The sixth-generation Quattroporte has grown in size in order to better compete with the roomier luxury saloons like the Mercedes-Benz S-Class. By 2018, the Quattroporte S Q4 will be upgraded to produce 450 bhp (336 kW; 456 PS) from its V6, and the GTS to produce 560 bhp (418 kW; 568 PS) horsepower from its V8, both with all-wheel drive (for the V8 to increase performance). The first presentation of this car was on 20 April 2013 in Shanghai. It is a sporting/luxury executive saloon that competes against the BMW 5 Series, Mercedes E-Class or Audi A6. This new model is expected to be key in order to reach the ambitious target sales of 75,000 cars a year by 2018, up from 32,474 in 2015. The car, along with the new Quattroporte, is built in the Italian factory of Grugliasco, Turin (former Bertone). The base Ghibli comes with 330 horsepower, the Ghibli Diesel with 275 horsepower (also 250 in Italy only), and the Ghibli S Q4 with 410 horsepower. By 2018, the base Ghibli will have 350 horsepower, the S Q4 450 horsepower, and a higher performance version (likely GTS) which will have 560 bhp (418 kW; 568 PS) and all-wheel drive. The Maserati GranTurismo is a grand tourer introduced in 2007. 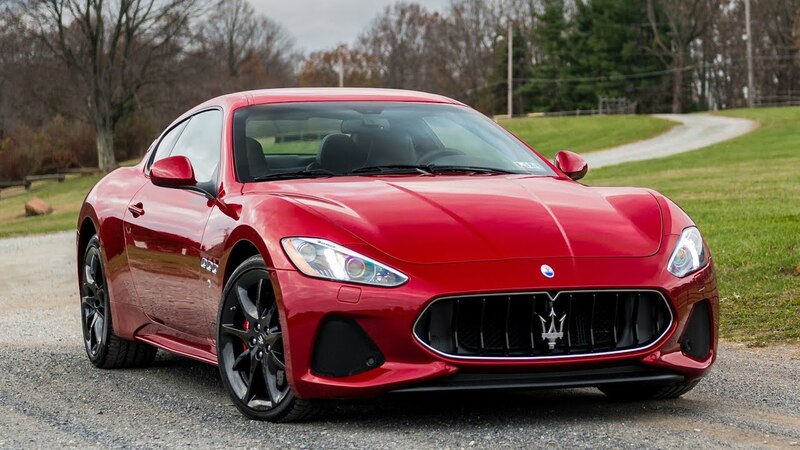 The GranTurismo has a 4.7-liter V8, making 454 bhp (339 kW; 460 PS) in Sport form and MC form. A convertible (GranCabrio) version is also available in standard, Sport, and MC form. The final production year for the Maserati GranTurismo is scheduled to be 2014, but it will be revived in 2018 with a 560 bhp (418 kW; 568 PS) V8, again in rear wheel drive form. The Maserati Levante is a crossover SUV due to be released in 2014. It has been anticipated with the Maserati Kubang concept SUV in September 2003 at the Frankfurt Motor Show and again in 2011. It was announced, at the Paris Motor Show held in Paris in September 2012. 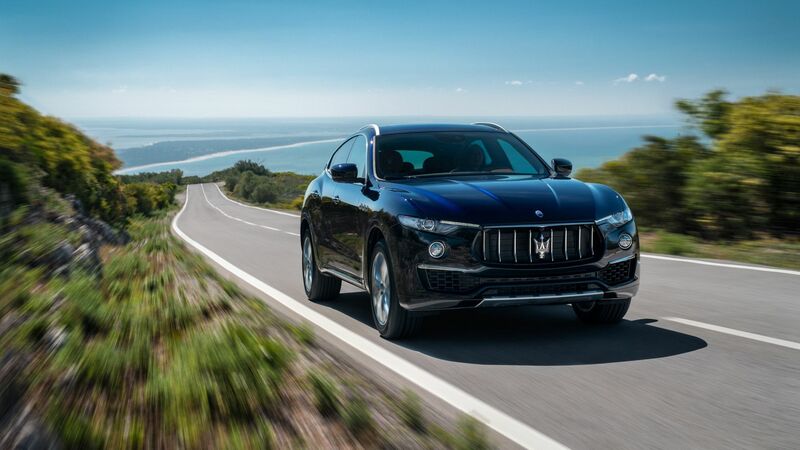 The Levante will be assembled in Mirafiori Plant, in Turin. It was confirmed on May 6, 2014. The Levante 3.0L V6 will be offered in either 350 or 425 horsepower states of tune, with a 3.8L V8 producing 560 bhp (418 kW; 568 PS) down the road, due in 2018. All models will have all-wheel drive. The Maserati Alfieri was a concept 2+2 presented at the Geneva Motor Show in 2014. The concept was based on the lighter chassis of the GranTurismo MC Stradale, although it had a shorter wheelbase. The concept was introduced with a 4.7 liter V8 producing 460 bhp (343 kW; 466 PS). 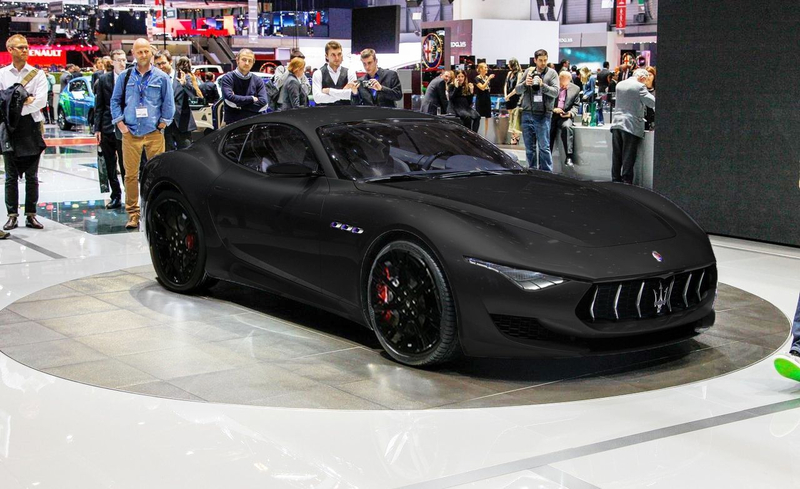 The Alfieri was confirmed for production in 2016 at a Fiat Chrysler Automobiles event on May 6, 2014. The production version will receive three different V6 engine choices, producing 410 bhp (306 kW; 416 PS), 450 bhp (336 kW; 456 PS), and 520 bhp (388 kW; 527 PS), respectively. The 450 horsepower and 520 horsepower versions will only have an all-wheel-drive system. The Alfieri will be joined by an Alfieri convertible in 2017. Posted in History, New Vehicles and tagged Alfa Romeo in Akron, Maserati Dealership in Akron Ohio, Maserati Dealership in Cleveland Ohio, Maserati Dealership in Northeast Ohio, Maserati Luxury Models, Maserati Luxury vehicles company, Maserati Service in Northeast OH, Used Maserati for Sale in Akron, what is the first Maserati SUV?.